Mothers Day as a celebration began in the United States in 1908 with a Church service in Brooklyn - the church has subsequently been designated as the International Mothers Day Shrine as detailed in the following article. Whilst Mothers Day in Australia is a very important celebration we have yet to go to the extent of establishing a shrine to honor the day, the closest we get is a typical 'barbie' at a family gathering for Mothers Day which is not so much a shrine albeit in Australia some men regard their beloved barbeque as a shrine. Andrews Methodist Episcopal Church, the "mother church" of Mother's Day, was incorporated as the International Mother's Day Shrine on May 15, 1962, as a tribute to all mothers. The church was constructed in 1873 and is located on Main Street in downtown Grafton in Taylor County, West Virginia. The International Mother's Day Shrine was designated a National Historic Landmark October 5, 1992. [2 ] Its location is approximately one mile south of the junction of U.S. Route 50 and U.S. Route 119. The shrine is open by appointment and available for wedding services and tour groups. St. Andrews Methodists Episcopal Church is most noted for holding the first official celebration of Mother’s Day in 1908. Anna Jarvis, the founder of Mother’s Day, conceived the idea as a way to venerate “a mother’s private service to her family.” This reflected Anna’s desire to use Mother’s Day as a sentimental way to remember her own mother, Ann Maria Reeves Jarvis, following her mother’s death in 1905. Following the original celebrations of Mother’s Day in 1908 in Grafton, West Virginia and Philadelphia, Pennsylvania, Jarvis’ holiday quickly gained support across America. Jarvis campaigned for recognition of Mother’s Day as an official holiday. Anna chose the second Sunday in May as the annual date for the holiday because it marked the anniversary of her mother’s death. The white carnation became a symbol of the day, and was selected by Jarvis to honor her mother’s favorite flower. The celebration also extended to many foreign countries within only a few years of its conception. In 1914, President Woodrow Wilson proclaimed that flags be flown “on the second Sunday in May as a public expression of our love and reverence for the mothers of our country.” The 1914 proclamation by Wilson represents a victory for Jarvis, since it recognized her holiday and mothers across America. The year 2014 represents the 100th anniversary of Wilson’s proclamation and the official national recognition of Mother’s Day as a holiday. 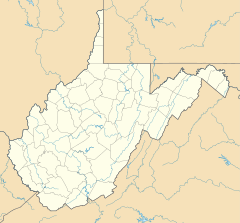 The International Mother’s Day Shrine in Grafton, West Virginia holds special commemorations and events in recognition of this anniversary. The adoption of Mother’s Day spread quickly internationally. By the third call for a Mother’s Day celebration by Anna Jarvis in 1909, “forty-five states, Puerto Rico, Hawaii, Canada, and Mexico” participated with celebrations on the second Sunday in May. [8 ] The rapid adoption of Mother’s day by other nations surprised Jarvis, who stated, “Where it will end must be left for the future to tell. That it will girdle the globe seems now certain.”[8 ] Jarvis foresaw the international appeal of Mother’s Day and believed the celebration and honor would be adopted around the globe. In May 1932, Mother’s Day was even adopted in Japan, after 19 years of observance by Christians, showing the wide reach of Anna Jarvis and the embracement of Mother’s Day internationally. [8 ] The international spread and adoption of Mother’s Day creates a larger international connection for the Shrine. Gift giving on Mothers Day in Australia was started in 1924 by Mrs J Heyden and like the rest of the world it has now become very commercialized.